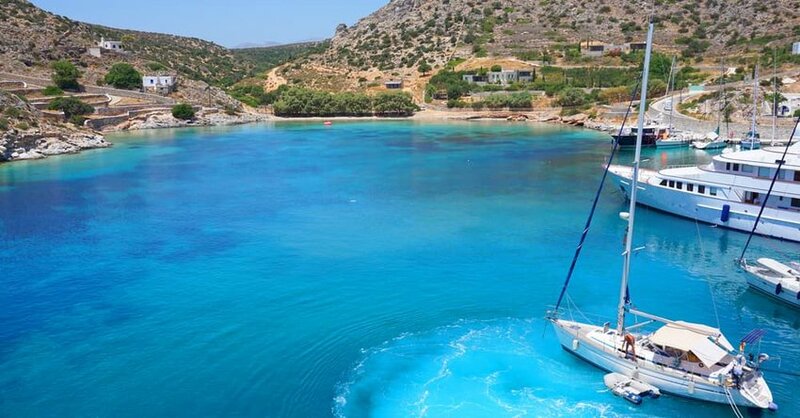 Did you know that Greece has more than 6,000 islands dotting the Aegean and Ionian Seas? It is, therefore, a little surprising that most make a quick dash for Santorini or Mykonos. Yes, Santorini with its rocky, dramatic cliffs hugged by white-washed houses is achingly beautiful. And Mykonos does have an enviable nightlife rarely found elsewhere. But there is so much more to see. With just a little effort, you can discover hundreds of tiny Greek gems with a smattering of locals, a few colorful fishing boats, the odd vine-covered taverna and a spectacular sights that you’ll have, to the most part, all to yourself. 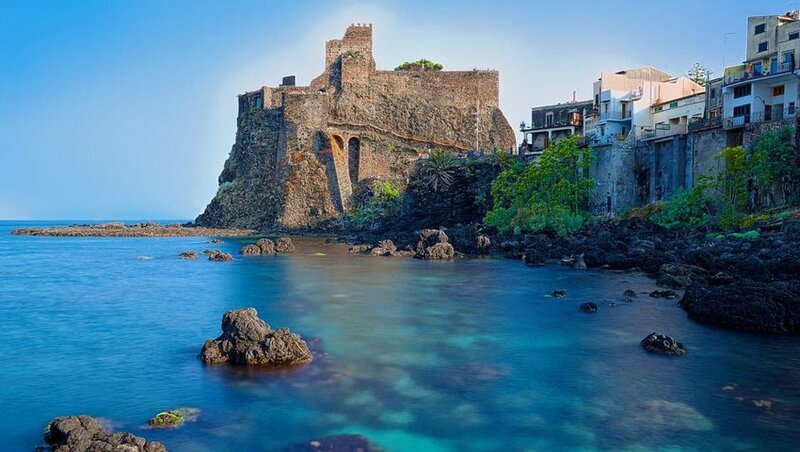 Here’s our pick of 5 of Greece’s best secret islands. Just don’t tell anyone else. Though it’s relatively large for a Greek island, Alonnisos is remote and rarely visited by travelers. This island is perfect for those who want to leave their cell phone behind with their daily responsibilities and truly get down to some peace and quiet. 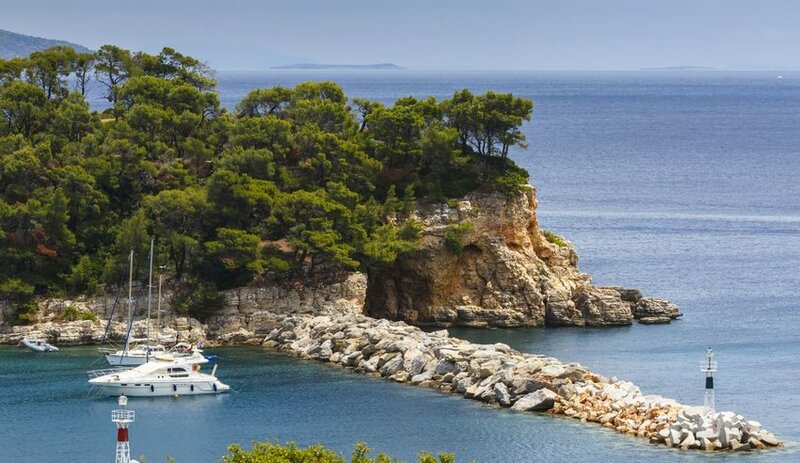 The mountainous island is lush with sweet-smelling Aleppo pines, fruit trees and rows of vines, while its rocky coastline is peppered with pretty harbor villages. If you’re interested in wildlife, you’ve come to the right place. You won’t have to look hard to catch a glimpse of dolphin pods jumping out in the bays, lazy Mediterranean monk seals basking on the beaches and rare seabirds nesting along the clifftops. Pano Koufonisi might be small but it packs some serious punch with a large fleet of fishing boats that keep the tavernas stocked with fresh catches of the day. Much like Santorini, it has picture-perfect views of white-washed houses over the turquoise sea. A barren, rocky coastline is punctuated with hidden bays and small beaches lapped by the shallow water. It doesn’t matter if you want an action-packed day filled with snorkeling, hiking and cycling or you just want to kick back on a stretch of sand and read your book, you’ve got it all on Pano Koufonisi. If you’re looking for a true slice of Greek island life, you shouldn’t skip a few days on Schinoussa, a small island that makes up part of the Minor Cyclades just south of its more famous cousin Naxos. Once a hideaway for smugglers and pirates, the tiny island now plays host to travelers looking for something other than wild parties and loads of tourists. 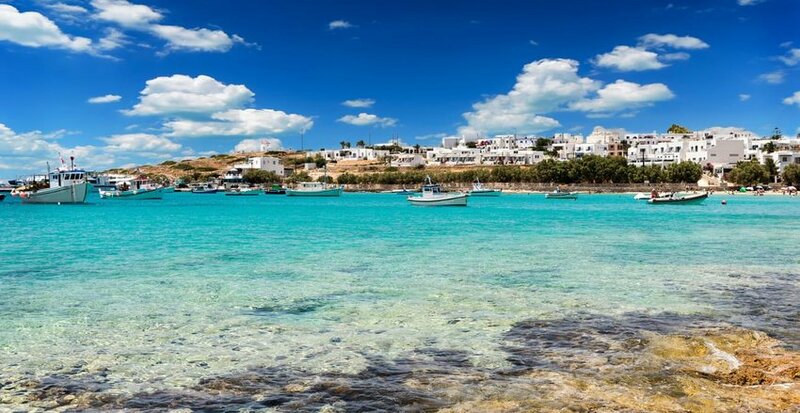 Nab a night in a guesthouse or one of the island’s luxurious boutiques and spend your days sailing along its rocky coast, gorging on fresh seafood in the tavernas or stretching out on one of the beaches without having to fight to stake a spot in the sand. You don’t have to travel far from Santorini to find undiscovered beauty. 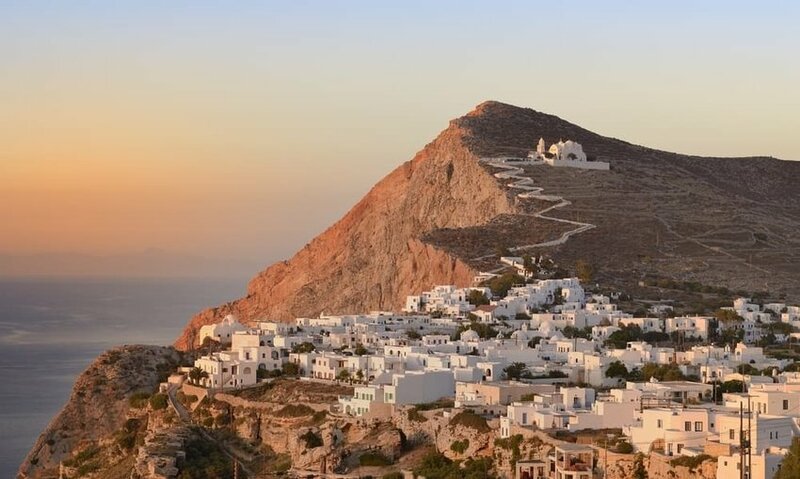 On the southern edge of the Cyclades lies Folegandros, which dramatically rises out of the sea. Untouched stretches of beach, hidden bays and coastal hiking trails await. 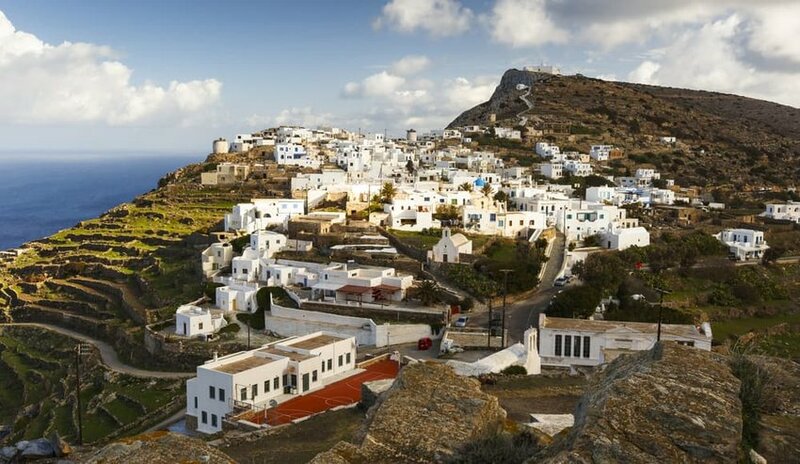 If you’re a first timer, it’s unthinkable not to visit the clifftop village of Hora whose typically white-washed homes are perched on a magnificent rocky outcrop overlooking the rest of the island. It is, without a doubt, a contender for one of Greece’s most scenic spots. While you’re there, don’t skip the island’s signature dish – a hearty, slow-cooked lamb shank with Greek pasta. There is something so charming about Sikinos. It might be part of the popular Cyclades, but it’s a world apart from the other islands in the archipelago. Remote, quiet and off the tourist radar, if you’re looking for almost complete solitude, you’ll find it in Sikinos. This doesn’t mean there aren’t things to do. You won’t want to skip Episkopi temple where you can catch a glimpse of Byzantine chapels and marble sculptures. A scattering of equally remote villages provide some wonderfully rustic accommodations and the odd sunny taverna terrace where you can knock back cold glasses of Greek wine while you admire the melting sunset. 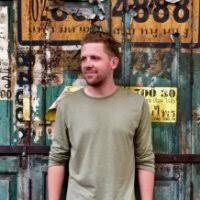 When Luke’s not traveling around the world, he calls London home which he likes, other than the weather. Then again, no one likes the weather in London, so he’s in good company.